In 2017, large full screen phones have become the norm. You may also know them as “bezelless phones”. Companies like Samsung, Huawei, Apple and others have launched their flagships with an 18:9 display over the past few months. Being one of the most popular brands in Pakistan, QMobile didn’t have a bezelless smartphone, until now. QMobile is partnering with one of the biggest chip makers in the world, Qualcomm, to launch their latest Q Infinity smartphone. With it’s latest offering, QMobile has become the first local brand to launch a bezelless phone in Pakistan. The phone is not currently available but will be launched soon. Starting out with the features, QMobile is powered by a Qualcomm Snapdragon 425 chip. Most of the phones launched earlier by QMobile featured a MediaTek chipset, but now with Q Infinity, the smartphone maker aims to change that trend. One of the biggest drawbacks of the MediaTek chips was their GPU. Q Infinity will come with the Adreno 308 which is more than capable of running high end, graphically intensive applications. The main highlight of the Q Infinity, as mentioned earlier, is it’s 18:9 ratio display. Q Infinity features a 2.5D, 5.7 inch IPS display with HD+ resolution (1440 x 720). The metal clad Q Infinity has 3 GB RAM with 32 GB internal storage, which is expandable via a microSD card slot. It is a Dual SIM phone and supports 4G LTE. On the camera side, the Q Infinity houses a 13 MP camera with Phase Detection Autofocus and a LED flash. Up front is a 16 MP sensor with screen flash. Keeping everything running is a 2,900 mAh battery which should be able to last a day on average thanks to the power efficient Snapdragon 425 chipset. I would recommend every one to buy this. Best mobile better than iPhone and Samsung and xiaomi and oppo and vivo and infinix. A so called ‘collaboration’ between Qmobile and Qualcomm, you say? 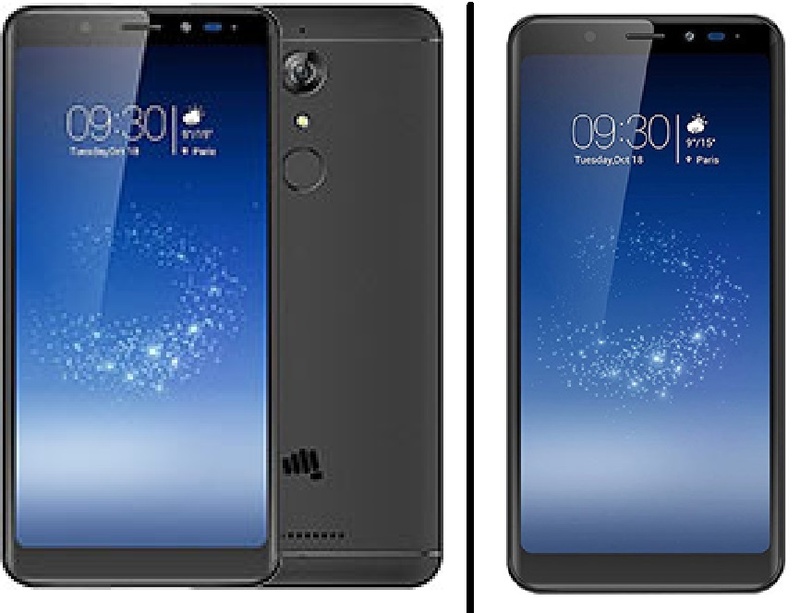 The left phone is a Micromax Canvas Infinity while the phone on the right is the Qmobile Infinity. Are you sure there’s a so called ‘collaboration’ between the two companies and the Qmobile hasn’t just slapped the “Q” Logo on an existing smartphone like it does with ALL of its phones? The specs are EXACTLY the same on both phones, with same display, battery, 18:9 aspect ratio and Snapdragon SoC. Speaking of SoC, it’s a low-end Snapdragon 425 one might find in Redmi 4A. But people get all emotional when they see the word “Qualcomm”! This SoC is on par with Mediatek Mt6737T found in Nokia 3 albeit with a better GPU while a lower RAM clock. Typical Qmobile at it again! All of it’s R&D (Research & Development) funds go into making ‘exotic’ adverts with either cute girls or Bollywood actresses! So much truth in a single comment, PK Pro admin is about to commit suicide. Another paid article, or even a click bait because 99.99999999% Pakistani know that Q Mobile is only a marketing front of Chinese phones and those Pakistanis would take it as their moral duty to clarify the facts. I don’t mind that Qmobile is merely a ‘re-branding’ company. American Company “BLU” does the same! What bothers me is that Qmobile LIE about it and brag about collaborations, extensive R&D, top of the line manufacturing plants and whatnot and no one bothers to look into it. Ghanta partnership. Micromax Infinity ko copy kar k apna tag laga diya hai aur keh rahay hyn partnership ki hai qualcomm se. Aur jo processor lagaya hai woh b sab se sastay wala hai jo redmi note 4A mein pichle 1 saal se aa raha hai. Ch samjhte hyn Qmobile walay. @aamir7 where are your sponsored article rules that you guys made to scrutinise? Are they still on your website? Ye Q Mobile kee herqat nahi lagti balkay ProPK nay jaan k aesa likhha hai k log perhayn or comment karen. Its a press release. Maine aur blogs per bhi same article dekha hai. Those are some massive bezels. Just making the corners rounded doesn’t make a phone bezeless. You must be CEO of QMobile? Itnay buray din nahi aay bhai abi in brands k jo ap ne mention kiyay. aap time nikal k mar jao. If you call that bezel less display, or even ‘near’, then I don’t know what will you say about the true bezel less display. But it is definitely not better than all those flagships. yes so what’s bezel less then ? iPhone 6 with 65% and iPhone 6plus with 67% ratio??? The truth is, Q Mobile chooses way worse mobile makers of china to purchase the mobiles, the kind of mobile makers that not even ordinary chinese have ever heard of :) and then rebrand them, sells them to Pakistanis as Q Mobiles Products. agreed. I was just saying it in comparison of screen to body ratio..
if Price tag is 16k then it’s the best in the range for Pakistani customers. No near Infinity bezel phones comes in that price range. Redmi 4A will be way better in 14K. Yes, I am talking about Near Bezel Less display. Official 425 specs from Qualcomm. Partnership? ROFL… jese khaas Q mobile k he bnayi chipset ksi aur ko sell he ni krni… HD hoti hai chwl pn key ? Xiaomi is best than all brands. 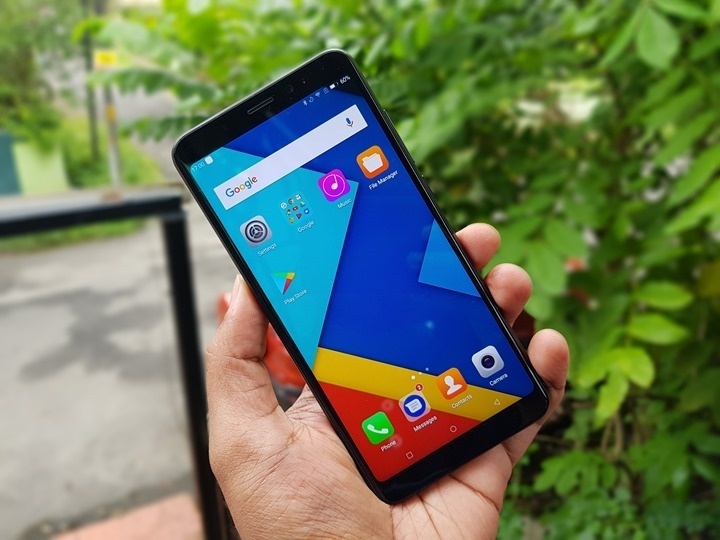 plz qmobile walo kbi ek phone apne b bana lo sirf copy k upr copy phone lekr ata tho ab bs b kro yr…hardwares bakws aur camera bakwas aur kya bolo sab kuch bakws ha yr ..
Qualcomm Snapdragon 625, processor, dalo pta chal kio ach wla processor dal ha Qualcomm ki compny k sab se sasta wla processor,dal ha had ha yr ksmse..kuch tho shrm kro bolta ho partnership ki ha..